1944: First of 16 photo-recon. 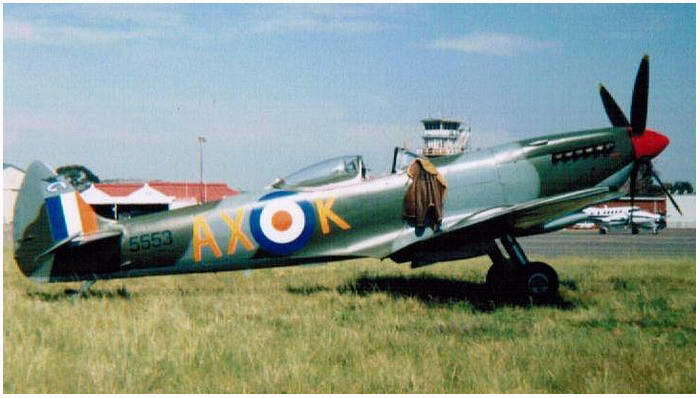 Spitfire PR X (MD192) with pressurised cockpit delivered. 1942: USS Wasp lauches 54 Spit. for Malta (47 make it), German attack reduce it to 18! 1953: Dutch Mk IX, MH434 (famous preserved Spit) test flown as SM-41 for Belgium AF. 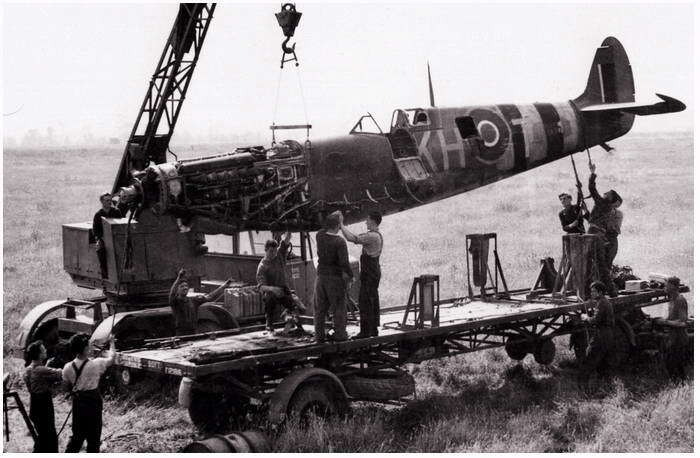 1945: Last great airbattle against Germany, Spitfires and other fighters claim 37 E.A.